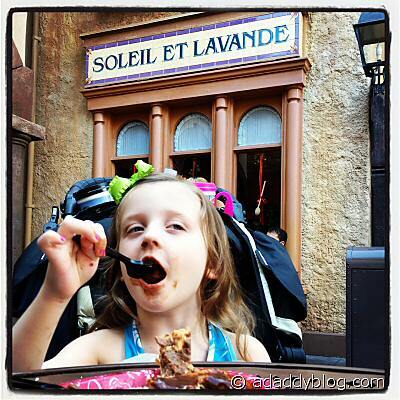 Is EPCOT's World Showcase Worth a Visit During Your Walt Disney World Family Vacation? Epson LabelWorks™ Printable Ribbon Kit Giveaway! You’d think, growing up in Europe as I did, that the World Showcase at Walt Disney World’s EPCOT might not be all that interesting by comparison. Or that it might be boring for kids. As it happens, it’s always been one of my favorite parts of the 4 Walt Disney World theme parks. As you walk around the back section of EPCOT (rebel that I am, I usually go counter-clockwise) you pass through 11 countries counting the USA: Canada, United Kingdom, France (pictured), Morocco, Japan, USA, Italy, Germany, China, Norway and Mexico. Sure it’s Disney’s romanticized version of these countries, but even for someone like me who’s been to 8 of them in real life, I still enjoy it very much. If you’ve seen Woody Allen’s recent films set in Paris and Rome, EPCOT’s countries that kind of hyper-realistic feel to them. I love that the cast members employed in each country are actually from that country. 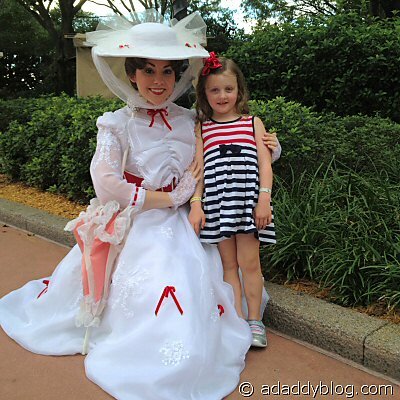 Be sure to take a moment to say, “hi!” On our last visit one of the shop clerks in the United Kingdom chased after Mary Poppins to ensure our 3½ daughter could meet her. Dining ranges from casual to downright gourmet, e.g. the Monsieur Paul restaurant in France. And it’s just possible you might even run into Chef Remy from the movie Ratatouille. Sadly he’s being replaced, I hear, by Rizzo from the Muppets. Has anyone else heard this? Each country, of course, has shops selling products both native to that country as well as more Disney specific wares. Most also have shows, movies and some even rides, like Norway’s Maelstrom. I thought that might be too scary, but our 3½ year old was fine. That said, I’d probably save it until at least 5. Many families ignore the back section of EPCOT in favor of the more exciting rides and shows in the front Future World section. To be sure, they are terrific, but you and your kids would be missing out if you don’t indulge in the international experience that is EPCOT’s World Showcase. And regardless of which part of EPCOT you visit, don’t miss the IllumiNations fireworks and Lazar show over the World Showcase Lagoon. You can get a clear view from almost any country around the lagoon, as well as that end of Future World. Don’t miss it! 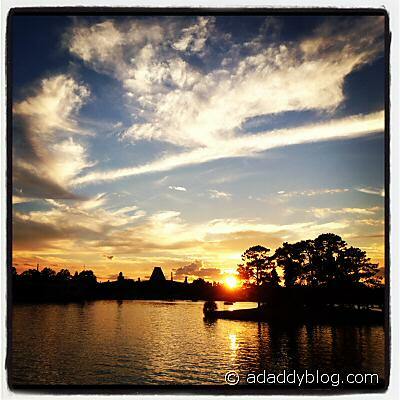 What is your favorite part of a Disney vacation? Leave a comment! We can’t wait to go back. Hopefully soon. When we took our almost six year old twin boys to WDW last spring, I assumed that I wouldn’t get much time in World Showcase. Then we discovered the Agent P missions. I got to tour World Showcase while we worked on the missions. it was awesome! Hi Cindy. Thanks for sharing this. I’d have thought 6 might still be too young for that. It’s a great idea. I remember seeing pre-teens and teens running around EPCOT on their “mission” during our last visit. Our daughter is still 5, so I’m not sure if she’d be to young? Epcot was my favorite part of DisneyWorld, Michael, and for the very reason you mention! Visiting the countries, of which only Canada and Mexico I have physically entered, was wonderful! I have never liked Sauerkraut, but when I dined in the Germany section, I was surprised by the wonderfully delicious taste of authentic Sauerkraut! I can’t wait to visit Germany (or DisneyWorld again) to taste it! I know you are having a blast! Thanks for the update. Living 20 minutes away from Disney, we have more opportunities to visit DW than people in other parts of the country. If we go and just plan on one park, we usually go to Epcot. Animal Kingdom and Studios are the two parks that tend to be part day parks in our opinion. Magic Kingdom is almost always crowded, and a must with younger kids along. But you can’t go wrong with any of the parks! And may sound strange, but we sometimes spend a night at one of the resorts. Sort of a 2 day stay cay. Our fav so far? The Art of Animation. That makes a lot of sense, staying a night during a two day parks visit, even though you live close by. I think our daughter would enjoy The Art of Animation. We stayed at the Contemporary Resort on our previous trip and at Bay Lake Towers (right next-door to it) last week. The reason is its walking access to the Magic Kingdom, and stroller roll aboard access to EPCOT (via the transportation hub). Can’t beat it for smaller kids, and even at 5½ the stroller was a life saver when she got too tired to walk. EPCOT has been my favorite, as an adult, but our daughter clearly loves Magic Kingdom… though liked EPCOT, too. 🙂 Appreciate your comments on Instagram and Twitter during our trip. Have a great week!